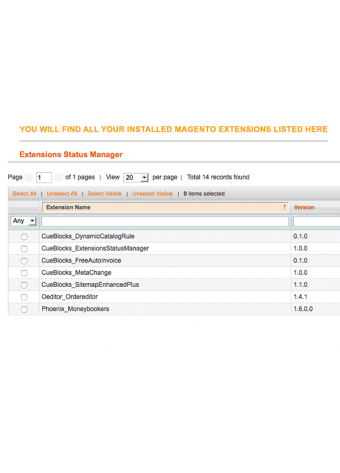 This Magento® Extension by CueBlocks helps you to completely enable or disable all installed Magento® extensions from the Magento Admin. 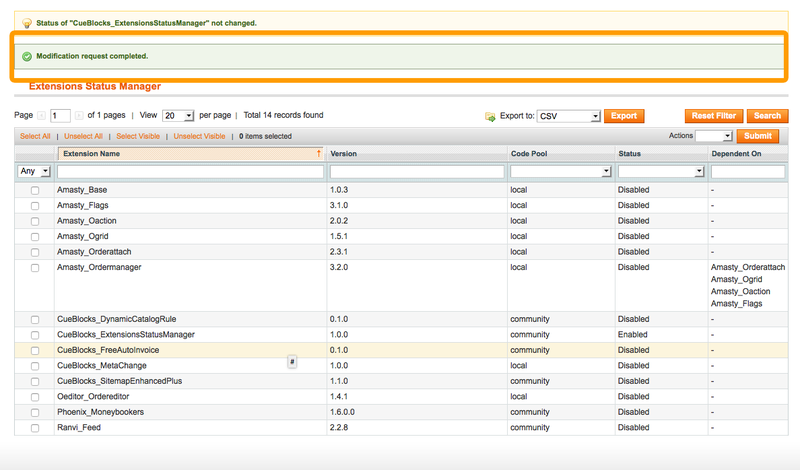 By installed extensions we mean, all custom and community Magento® Extensions except the Magento Core Extensions. 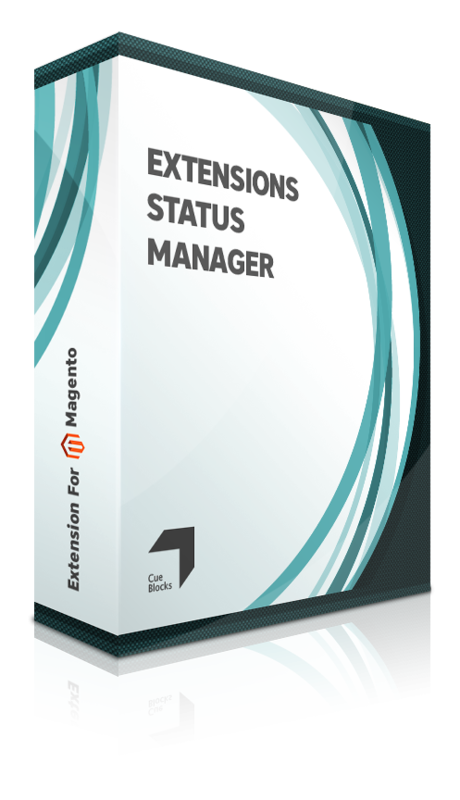 In a process as easy as 1-2-3, you can now find out the status of your installed extensions and change it from one place in the Magento Admin with the Extensions Status Manager Extension. 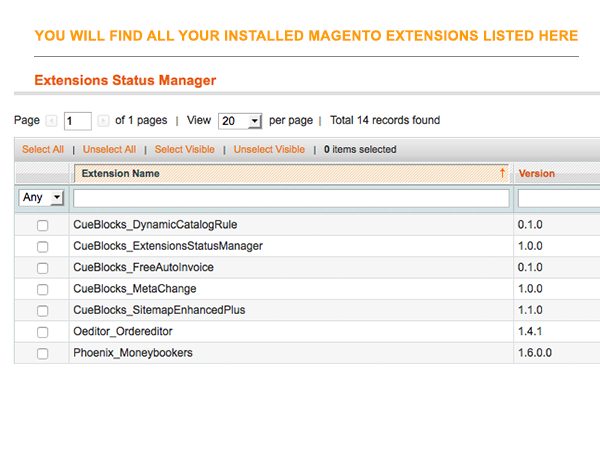 This Manager® Extension makes managing all the installed Magento® extensions quite simple. 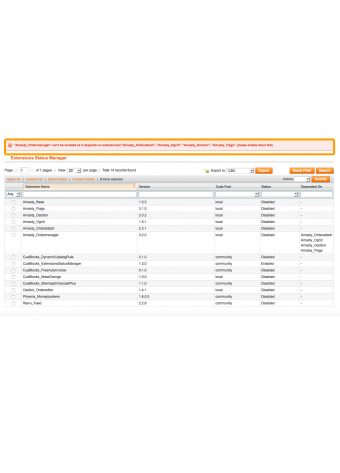 With this extension, you can enable or disable all or specific custom and community Magento® extensions at one place in the Magento Admin Interface. 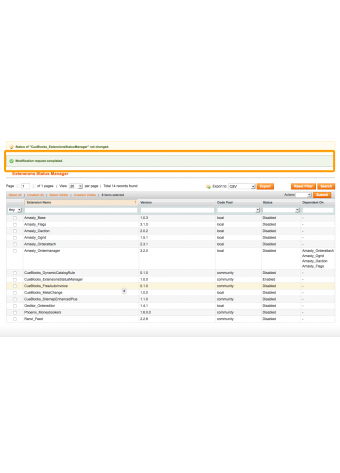 Apart from editing the status of the installed extensions, you can also view their status and the version of the extension installed. 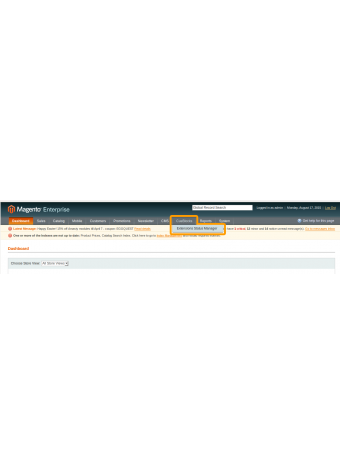 Note that when we say installed extensions, we mean all the custom and community extensions on your website except the Magento core extensions. 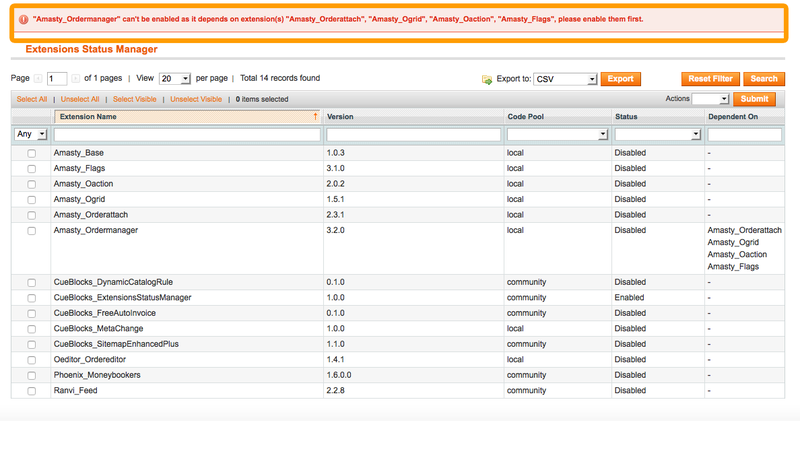 Please note that the actions (enable, disable, or installation of the extension) can impact the entire site code. It is strongly recommended to take the back up of file system and DB before performing any action. 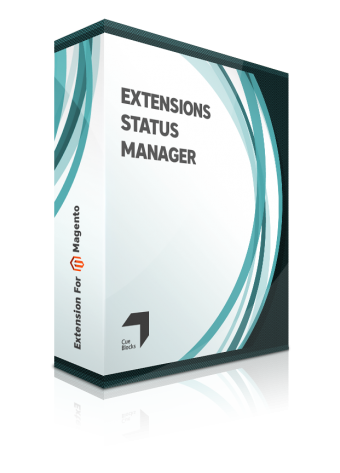 Get the Extensions Status Manager Extension for your Magento store and better manage all the extensions that you have installed.